As I have mentioned in the recent past I have been losing weight. It is, as anyone who has gone before me knows, not an easy journey. So when the culture of an office is ‘Hey, I want to be nice to everyone, and since I am going to Tim Hortons anyways I might as well pick up a box of doughnuts for the gang.’ the need to maintain discipline is more important than usual. You see, at home I have been good. I don’t keep the fattening foods that I love in the house, so if I am in the mood for something it is more than just ‘go to the fridge and get some.’ I actually have to get up, go out, and either walk or drive to the store. Last week I was very proud of myself for ignoring the doughnuts. Today I was not as good when Lorena (she looks so sweet and innocent, but I am about to prove she has her diabolical side) came in from lunch with a box of chocolate chip cookies. I had just gone downstairs to pour myself a cup of coffee and there they were… I decided that since I had been so good yesterday (aside from burning over 2000 calories walking, I also didn’t come close to hitting my calorie limit for the day) I was going to indulge. I opened the box and grabbed a couple. The first bite was already in my mouth when I realized that even when indulging (or especially when…) I have to track what I eat. I pulled out my iPhone, opened the MyFitnessPal app, and scanned the barcode on the box. I learned two things… the cookies were from Whole Foods, and they are more calories than I wanted to waste on a cookie… or at least on two of them. I would have put the second cookie back in the box, but since I have been coughing all week I played it safe and threw it out. The one cookie (at 160 calories) was very good, and complimented my coffee well. Truth be told, it was a good cookie to be sure, but not much better than the nutrition bars I keep in my desk for mid-morning and mid-afternoon snacks… the whole bar (1.76 oz of minty chocolate) has 210 calories (60 from fat), but it also has 14g of protein, nearly zero cholesterol (the cookie has 30g). 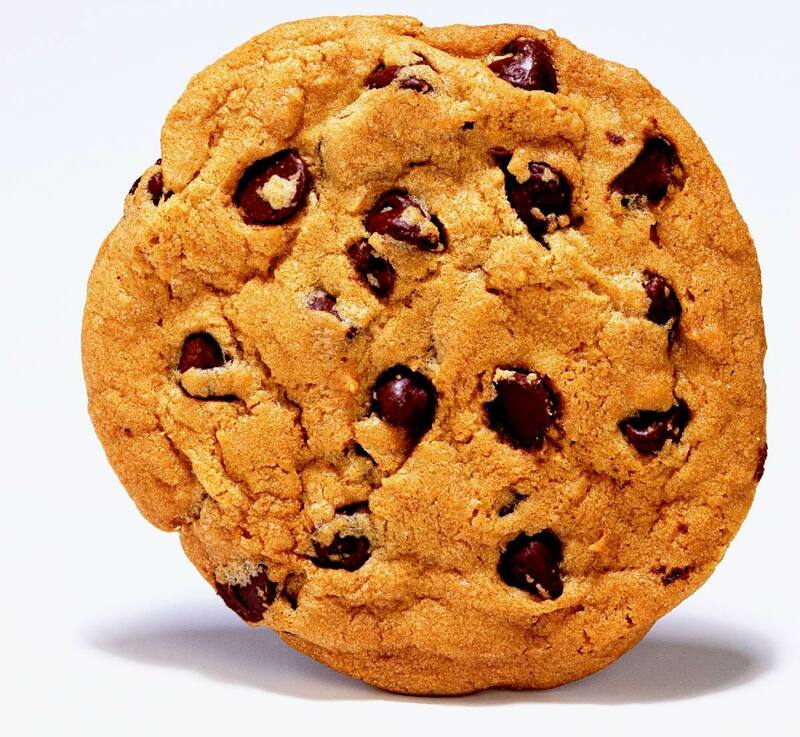 The carbohydrates are the same, but aside from that the cookie has no nutritional value. In the end the single nutrition bar is more satisfying than a single cookie (although two would have been tough)… I’ll stick to them. Is this a tongue-in-cheek story?